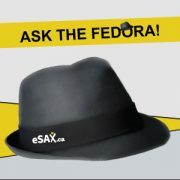 Jarrod and his team of #eSAX sponsors have pulled off the latest and greatest Ottawa eSAX Networking event yet! 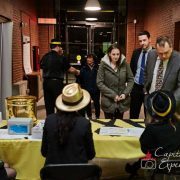 With 230 people in attendance there was definitely a crowd, and most were enthusiastic entrepreneurs ready to mix and mingle and get their business network started! To capture the real essence and excitement of the event, we’re presenting the Storify Twitter feed of the night as a recap of the event! The event featured: Master of Ceremonies Dylan Black (of Boom 99.7 FM) (@dylanblackradio of @BoomOttawa), Orleans Chamber of Commerce (@orleanschamber), Nancy Morris of Business Psychologist Specialist (@NancyMorris), and Dr. Wendy Knight Agard of Leadership Mentor (@WKnightAgard). The event was sponsored by: Sax Appeal (@SaxAppealOttawa), Funhaven (@FunhavenOttawa), Gold Sponsor Dynamix Productions (@dynamixpro), Drink Sponsor Elite Accounting (@El1teAccounting), Photobooth Sponsor Investors Group Financial Services (@bmoquin), Silver Sponsors Sure Print (@sureorleans), Creative eQuilibria (@ceQuilibria), Seoplus+ (@seopluscanada), Hewett Ripley Communications (@hewettripley), Bronze Sponsors Accountapotamus (@Accountapotamus), Storyline Productions (@storylineottawa), Flashpoint Photobooth (@OttawaFPBooth). 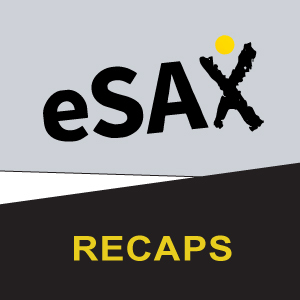 Thanks for making eSAX happen!